Alan Wood & Partners hold the following certifications and accreditations that represent our commitment to providing high quality services. 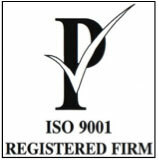 As a company Alan Wood & Partners is committed to providing our clients with a quality service. 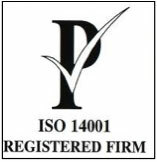 Monitoring, internal and external audits take place regularly to ensure we maintain the high level of quality you expect and operate a Quality Management System that has gained ISO 9001:2015 accreditation by Premier Verifications Limited. Alan Wood & Partners recognises the importance of environmental protection and is committed to operating our business responsibly and in accordance with all environmental regulations, legislation and approved codes of practice relating to the construction industry. CHAS is established as the market leader for health and safety pre-qualification in the UK. It is available to suppliers (those who provide goods and services) and to organisations (buyers) looking for suitably competent suppliers. CHAS isn’t just for construction companies, it assesses health and safety for all types of suppliers, from care services to demolition contractors, designers and consultants. The aim of the scheme is to save time and resources by avoiding unnecessary duplication in the first stage of competence assessment; the CDM Core criteria. Each month thousands of contractors and consultants (suppliers) apply for work with public and private sector organisations (buyers). To win work, they must meet the buyer’s health and safety standards. Assessing suppliers health and safety competence is usually a lengthy and time consuming process. Suppliers can sometimes meet one buyer’s Health and Safety standards but not another. Being CHAS approved reduces duplication as suppliers compliance is accepted by all CHAS buyers. Constructionline provides a national online database, the UK's largest register for pre-qualified contractors and consultants. Accreditation signifies that through pre-qualification and audit we have met and continue to exceed government standards, and a range of industry, e-Purchasing and Government partners standards, ensuring that we remain relevant to procurement professionals within the construction industry. RISQS qualifies, evaluates and monitors suppliers so buyers for the world's largest corporations can develop long-term, mutually-beneficial relationships with reliable, qualified suppliers across the globe. The Centre for Assessment of Technical Competence – Humber (CATCH) provide an auditor/coordinator to operate a shared Pre-qualification service on behalf of Humber Bank clients. They carry out preliminary in-house checks on companies systems and assess five categories; general, finance, quality, safety and environment and accreditation is based on a score card system. There are 3 levels, approval, referral or rejection. Alan Wood & Partners are proud to be approved through CATCH to work with the Humber Bank Clients.